The final World Golf Championship event of the season gets underway on Thursday, and as you’d expect the field is a world class one, although the defending champion Rory McIlroy remains out injured. The world number two, Jordan Spieth is unsurprisingly the bookies favourite and is closely followed by the likes of Jason Day, Dustin Johnson, Justin Rose and Rickie Fowler. 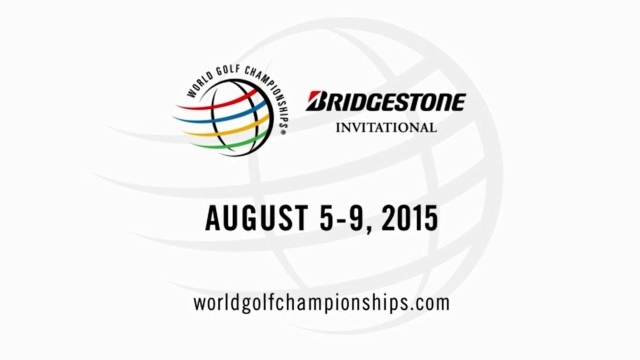 Firestone Country Club has been the long-term host of this event and this year is no different. The golf course was designed by Bert Way and redesigned by famous golf course architect, Robert Trent Jones in 1960. Firestone is the longest par 70 on the PGA Tour and at 7,400 yards, driving distance is a huge advantage. Simply take a look at the winners of this event in recent years and you’ll notice they can all hit the ball a long way. Finally, as a par 70, the South Course features more par 4’s than most PGA Tour courses, therefore the par 4 scoring average statistic is an important one. Justin Rose – Personally, I don’t think there’s a better bet than Justin Rose at 16/1 this week. He’s one of the best players in the world and always prepares his game for the big events. Justin is a seven time winner on the PGA Tour and this includes the US Open, the WGC Cadillac Championship and a victory earlier this year. Last week the Englishman put in a respectable performance in the Quicken Loans National, but had a really poor week with the putter. Finally, it is worth noting that Justin Rose loves Firestone Country Club, he’s recorded three top 10’s here and has never finished worse than 33rd, this indicating how well suited he is to this venue. Henrik Stenson – Like Justin Rose, Henrik Stenson has a very good record around Firestone and this isn’t surprising as he is a long driver of the ball and ranks well in the par 4 scoring average statistic. The talented Swede finished 19th around this track last year and 2nd in 2013, and it’d be of no surprise if he was lifting the trophy on Sunday afternoon. Admittedly, Henrik hasn’t won this season but he’s come close on a few occasions and it won’t be long before he wins a big event once again in my opinion. Bill Haas – After a three week absence from tournament golf, Bill Haas returned in last week’s Quicken Loans National and finished in 4th position. The American played well from tee to green throughout the week, this suggesting that his games in good shape and is ready for the two weeks ahead. Haas is a six time winner on the PGA Tour and that includes a victory earlier this year, and I believe he has a decent chance this week. His course form is pretty good, Haas finished 41st last year, 7th in 2013 and 19th in 2012, thus leading me to believe he’s a great bet at 66/1 this week.